21. St. Louis & The Confluence. 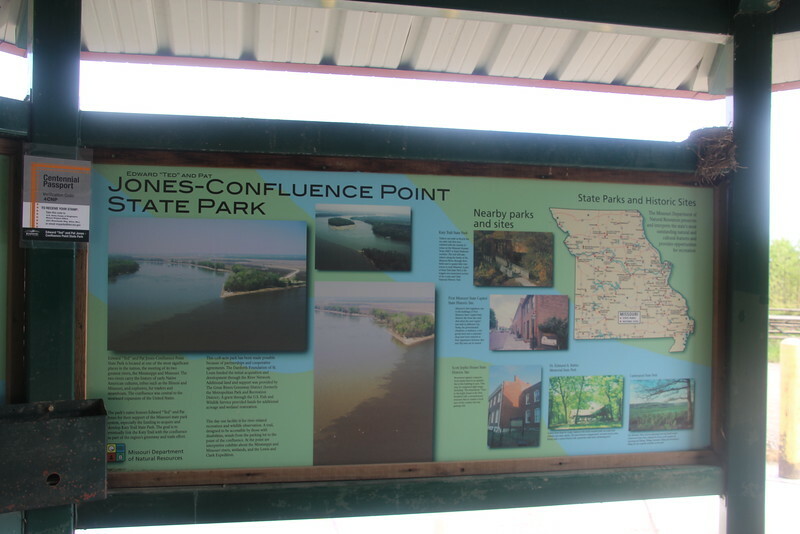 The Ted and Pat Jones State Park marks the confluence of the continent's two biggest rivers - the Missouri and the Mississippi. Nonetheless, THE Confluence is here, and a site to behold! By it's very nature, the confluence is in a remote spot in (very) north St. Louis. On the one hand, it's NICE that a State Park exists to mark the site. But given the amazing merging here, more could be done? Gravel roads to/from the Park, and the trail is defined, but not paved. I had heard rumors that a tower had been built, but if so, I didn't see it.